The 2012 Azera, shown at the Los Angeles Auto Show, goes on sale in February. LOS ANGELES -- Hyundai's U.S. sales boss expects tight supplies of the redesigned Azera full-sized sedan to limit sales of the vehicle next year. Dave Zuchowski, executive vice president of sales for Hyundai Motor America, said the company expects enough demand to sell about 30,000 units in 2012, but sales will be limited to about half that next year after the 2012 Azera's February sales debut. For comparison, the Toyota Avalon sold 23,507 units in the first 10 months of 2011. "Our initial planning for next year looks like we'll be able to get about 15,000 units built," Zuchowski said at the Los Angeles Auto Show. The limited supply is largely because of the Azera's popularity in South Korea, where it is sold as the Grandeur, Hyundai says. The demand limits production of U.S.-market Azeras, Zuchowski said. "Obviously we'll continue to push over the course of the year for additional production," he said. The 2012 Azera is the car's first redesign since the nameplate debuted in the United States in 2005. The Azera eventually replaced the XG350 in Hyundai's lineup. U.S. sales of the Azera and XG350 overlapped from 2005 to 2008 and peaked in 2006 at 26,833 units combined. 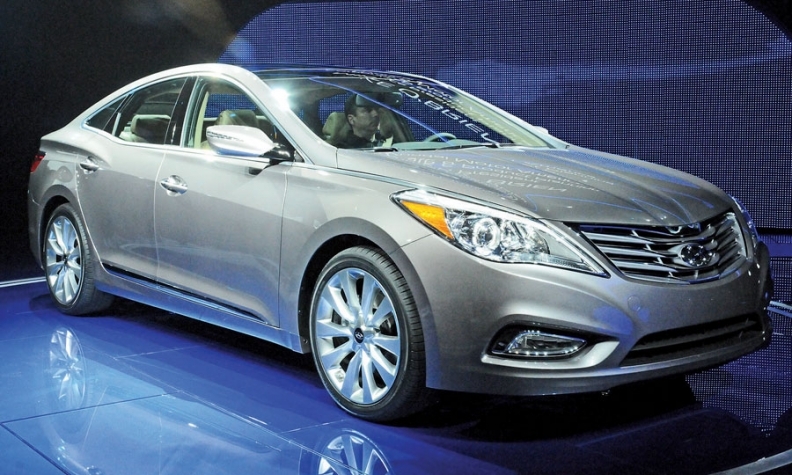 The 2012 Azera slots between the Hyundai Sonata mid-sized sedan and Genesis luxury sedan. For the Azera's redesign, Hyundai added high-end touches such as a more refined interior with standard leather seats, standard navigation system and a bolder exterior design using Hyundai's fluidic sculpture design language. Prices are expected to start in the low $30,000s. 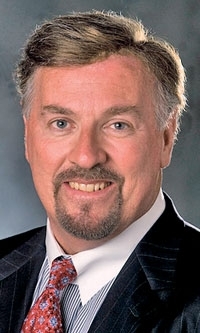 Zuchowski said the large-sedan segment, which includes vehicles such as the Toyota Avalon, Ford Taurus, Buick LaCrosse and Nissan Maxima, sells about 600,000 units annually, with roughly half going to fleet customers.